My eleven year-old son’s eyes widen as the woman offers him a tankard of beer to drink. He looks towards me. The woman says: ‘The young master is of age. Everyone from the age of five drinks beer. But if you don’t want to drink it why don’t you just smell it?’ She tilts the pewter tankard towards each of us in turn. As I peer inside I see that it’s empty. My son looks relieved. We’re at Penshurst Place and Gardens in the Weald of Kent, England. The woman is one of a group of costumed actors this weekend recreating life at the manor house in 1588 when the Spanish Armada threatened to invade England. She’s playing the part of a cook and tells us that beer was safe to drink in Tudor times but water often wasn’t. She’s in a room next to the 14th century Baron’s Hall and is standing in front of a long table laden with Tudor dishes. She tells us that she’s preparing food for the soldiers and shows us some pheasant pies. The pies are small and round and each has a pheasant’s foot poking up throughout its pastry lid. Apparently this is to hold on to while eating the pie. In the centre of the spacious Baron’s Hall a fire burns in an octagonal hearth and a musician plays Tudor music. We walk up the stone staircase from the hall to tour the rooms above. King Edward VI granted the Penshurst Estate to Sir William Sidney in 1552 and the Sidney family have lived there ever since, adding to the house and gardens over the centuries. The rooms are interesting but we don’t spend too long in them as my son’s keen to get outside. He stops briefly by a display of muskets – they’re enormous and I can’t imagine how anyone managed to lift and fire them. Outside on the lawn more costumed actors are marching a row of children and parents up and down. Each child carries a long spear: they’re preparing to fight the Spanish Armada. Spanish Armada weekend, Penshurst Place. Copyright Gretta Schifano. We walk down to the splendid Elizabethan formal gardens. The earliest records for the Grade I listed gardens date from 1346. A mile of yew hedge divides the gardens into a series of different ‘rooms’. So one part is an orchard of fruit trees carpeted with daffodils when we visit, another contains flower beds in the form of the union flag, another is a paved garden with a pond. On a warm day this is a great place to come with children – they love exploring here. The Toy Museum is housed in a nineteenth century stable block next to the main house and contains the toys of generations of Sidneys. My son and I agree that some of the dolls on display are the oddest we’ve ever seen – particularly the one dressed as a vicar – but we both like the old wooden rocking horses. The traditional adventure playground is impressive. It covers a large area and has an array of play equipment made of unpainted wood to suit a range of ages. There are picnic tables at the edge of the play area where you can eat your own food. There’s also a decent café by the main entrance and a restaurant near the Baron’s Hall. It’s always worth checking what’s on offer for families at Penshurst, especially during the school holidays. Penshurst Place and Gardens is a great place for a family day out and I’d definitely recommend it. 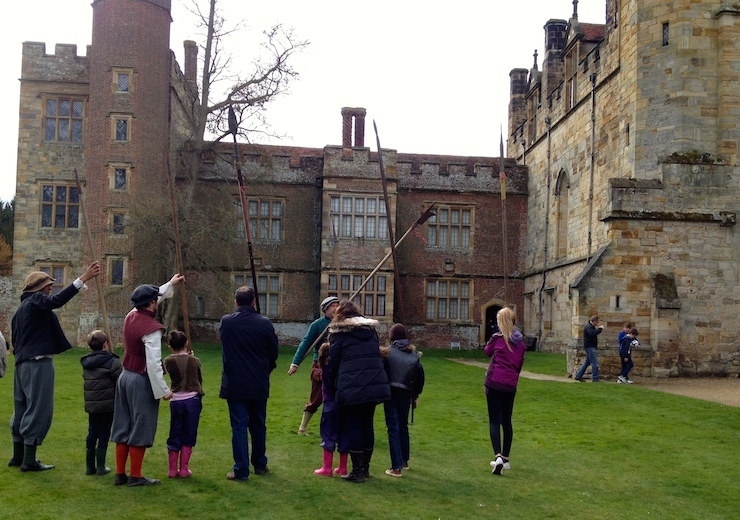 Thank you to Visit Kent and Penshurst Place for arranging our visit for the purposes of this review. 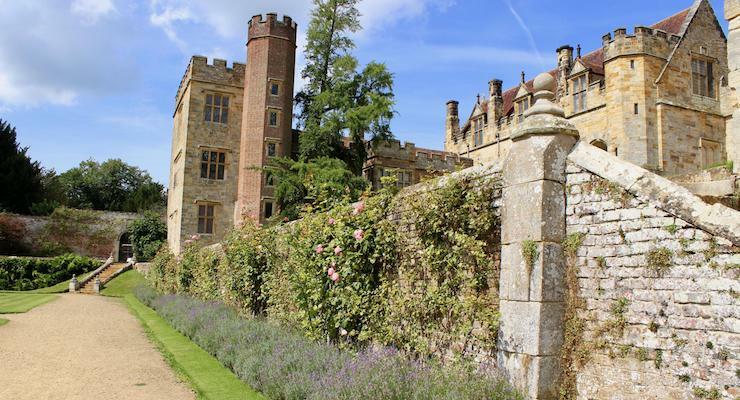 I lived in Kent before escaping to France and NEVER went to Penshurst Place (I drove past lots) – I think I best remedy this the next time I am over in the UK! I love places like this and they are made so much better with special days and actors to bring the history to life. Yuck to those peasant pies! A great review and lovely entry to Country Kids. Everything looks interesting! Must be a nice experience! Fritha recently posted…How well do you know your friends? I absolutely love to visit places with a bit of history and the Tudor period is especially fascinating. This looks really interesting. Sounds like a great place to visit with educational history there as well as fun! I’m fascinated by Tudor times, and this looks like a great place to visit. Will have to add it to our ever growing list of days out! I’m mad into history and a Ricardian, yes a bit batty and always telling all about how Richard III was a good King but shhh….I do love Tudor history too. I would totally love this place and hopefully one day will get to visit. I adore Tudor music and I get goosebumps when I hear it. Thanks for a great post, I wish I had more history posts in my blog roll to read now. Not been to this place , looks like fun . This sounds like such fun! I remember going to Beaulieu as a child for a similar event that was Victorian themed. Those dolls are terrifying though! I love events like this, they really bring history to life. Although I have to admit the pheasant pie was not a part of history I would be keen to relive! what a lovely review! Looks like a very interesting day out! That looks like a great place to visit and a really great event. to be honest, it’s not my cup of tea, but i always find something to enjoy about a place like this (the building for example) and it looks like fun for kids! Fantastic place to visit! A friend does reenactments at Kentwell Hall in Suffolk, they stay for a fortnight and live as Tudors. A full scale reenactment would be great here! Great review, looks like a very interesting place to visit. I love events like this, they really bring history to life for kids.